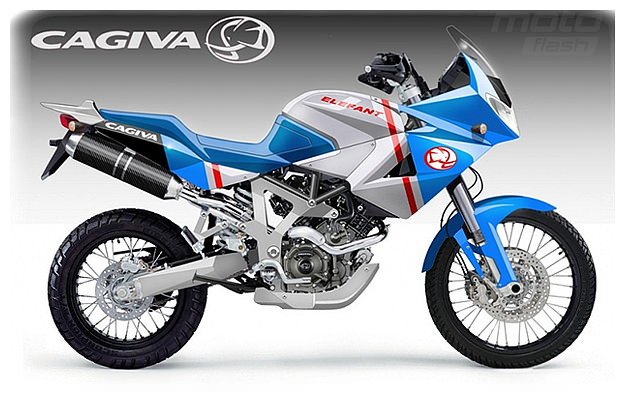 The Romanian website motoflash has posted speculative images of a new Cagiva Elefant. Cagiva is now owned by Harley-Davidson, and Milwaukee has hinted at the return of the cultish dual sport classic. The images are by designer Oberdan Bezzi: in the colorway shown, there’s a nod to the original Elefant 650—which, incidentally, used a Ducati engine. Bezzi has created a super ‘Lucky Explorer‘ version too.